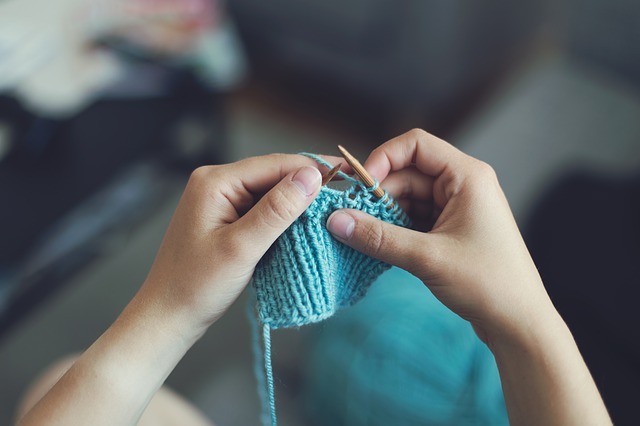 Knitting is one of the oldest hobbies in the world; it’s been around since the 15th century and is still incredibly popular today. Despite the fact that we have machines and technology to mass produce woolly clothing, knitting remains a sacred art that many still love; creating your own piece of clothing can be one of the most satisfying achievements to accomplish. And the skill levels of knitting can range from simple garments to really complex and amazing clothes that are used in fashion shows. In a world which is dominated by technology, knitting has to be one of the most peaceful hobbies you can undertake. It allows you to escape from your phone, social media, television and your other life worries. Being able to take five minutes out of your day to reflect and concentrate can bring forth some of your best ideas. It’s often said that if you’re struggling for motivation, going for a walk and taking a break can help bring out the best ideas in you. Refreshing yourself every once in a while is key to happiness and knitting can do that by allowing you to do something creative. Like art, knitting can let you make things which have all kinds of artistic meaning behind them. Knitting is also very portable; I mean this by the fact you can take your needling bag with you anywhere and start up a session. You can do it on the train, on a plane, by the lake or your favorite spot in your garden on a nice summer’s day. This allows you to really make knitting a peaceful environment- get away from the office for a couple of hours or your screaming children and just unwind with some wine and working on that newborn baby’s hat that your family are sure to love. You don’t have to create anything too complex either; you can start small such as a simple wool blanket that you might take camping with you. Or perhaps a mitten for a newborn baby. Practice makes perfect; start small and then once you’re ready to take on the bigger items, go for it! It’s a common misconception that knitting is always referred as a hobby that only your grand-parents would pick up. But in fact, it actually requires quite a lot of skill and mental brain power to do the most complex of knitting items. Being able to work out pattern guidelines and knitting structures are some of the fundamental skills with knitting and can be quite the challenge for young or old. Take a look at some plaid or tartan blankets and the amazing stitching that goes into them; these are the kind of items you could be making too!